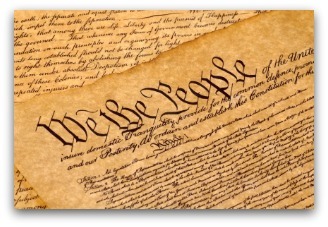 It's Constitution Day! Time to Teach Obedience or History? Pearson-Prentice Hall's high school textbook, United States History, opens its chapter on the Constitution with this Daniel Webster quote: "We may be tossed upon an ocean where we can see no land -- not, perhaps, the sun and stars. But there is a chart and a compass for us to study, to consult, and to obey. The chart is the Constitution." United States History tells students approvingly that Ronald Reagan and others have recited this Webster quote at celebrations of the Constitution. This kind of on-bended-knee Constitution worship has long been a staple of our country's social studies curricula. These days, most U.S. history textbooks acknowledge that the Constitution was not without controversy. Holt McDougal's The Americans offers a perfunctory couple of pages on the debate between elite groups of Federalists and Anti-Federalists. But corporate textbooks present the Constitution as a wise inevitability, awaiting only the Bill of Rights as the icing on a delicious cake of compromise. Students deserve a more critical and nuanced exploration of the Constitution -- one that is alert to the race and class issues at the heart of our governing document. I taught U.S. history for almost 30 years. In my high school U.S. history classes, students and I travel back to 1787, to the Constitutional Convention -- but with a twist. In our convention, we imagine that instead of only lawyers, moneylenders, and plantation owners in attendance, there were also poor farmers, workers, and people who were enslaved. Students take on these roles as they argue heatedly and build alliances toward their respective visions of the good society. We don't attempt a full rewrite of the Constitution, but choose several controversial issues. For example, students in their various roles consider whether the slave trade should be continued, whether Northerners should be forced to turn over escaped slaves and, crucially, whether slavery should remain legal. In our more representative convention, despite pleas from plantation owners -- often supported by other wealthy social groups -- an alliance of enslaved people, workers, and farmers abolishes slavery. "So what really happened?" students demand after our convention. Their discovery: The Constitution does not contain the words "slavery" or "slave." Instead, enslaved people appear euphemistically throughout the text as in Article 4, Section 2: "No person held in service or labor in one state, under the laws thereof, escaping into another, shall in consequence of any law or regulation therein, be discharged from service or labor, but shall be delivered up on claim of the party to whom such service or labor may be due." Students learn from this nasty clause how the constitution they created differs from the genuine document. Elsewhere, students learn that for purposes of congressional representation, someone who was enslaved was to count as three-fifths of a person. Every textbook I've seen refers to this as a compromise. "What compromise?" my students in the role of enslaved people ask. "We don't care how we're counted, we want to be free!" My student Founding Fathers and Mothers also debate questions of economic justice. The struggle between debtors and lenders raged in the 1780s. 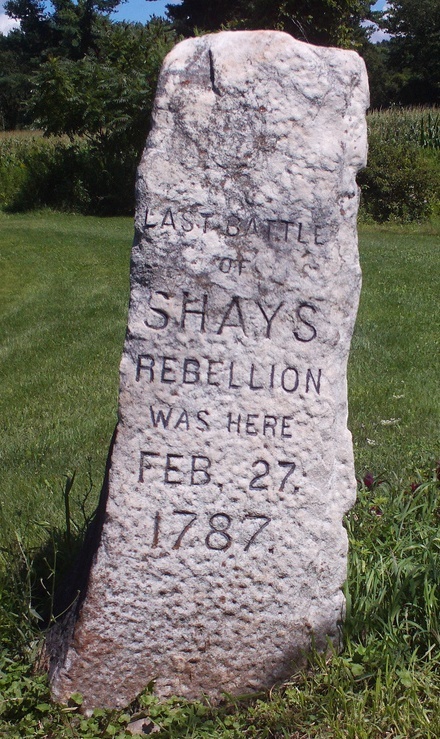 A Revolutionary War captain, Daniel Shays, with more than a thousand farmers in western Massachusetts, shut the courts to prevent the poor -- many of whom were former soldiers--from being jailed for their debts. Shays' Rebellion cast a long shadow over the constitutional proceedings in Philadelphia the following year. My students consider whether states should allow farmers to pay debts in kind, with produce, to ease their financial burdens. Again the alliance of the poor -- enslaved people, farmers, and workers -- usually prevails, and students search through the actual document to find what the men of 1787 decided. A seemingly innocuous phrase in Article I provides the answer. "No state shall . . . pass any . . . law impairing the obligation of contracts. . ." In other words, no payment in kind would be tolerated. Nor would states be allowed to issue paper currency to ease farmers' plight. Instead of viewing Shays' Rebellion as an expression of grassroots democracy and a rejection of exploitation and unjust authority, The Americans asserts -- without evidence --that the protest "caused panic and dismay throughout the nation." Corporate textbook publishers seem eager to indoctrinate students with a message of "compliance is good, rebellion is bad." As students compare the actual Constitution with their classroom-generated Constitution, they realize that the framers took sides. But why these particular sides? Inevitably, most students want to learn who wrote the Constitution and which social groups they represented. This is another thorny question sidestepped by the textbooks. United States History tells students that the Constitution was written by "some of the most famous and important men in America," but skims over their economic status. In contrast, I ask my students to look at where the writers lived, and what they did for a living. Nearly 40 percent of the Framers -- including, of course, George Washington and James Madison -- enslaved other human beings. Many were wealthy lawyers, others successful merchants. Not a single "famous and important" leader was a common farmer or worker. All were white; all were male. Asking students to think critically about the Constitution is not a demand for them to come to any particular conclusion about the Constitution and those who drafted it. Rather, treating the Constitution as a product of social conflict and written by partisans in that conflict implicitly gives students permission to become thinkers. No longer intimidated by the document's holy status, they can analyze and draw their own conclusions. And part of the analysis that our students need to do today is to ask of any social policy: Who benefits? 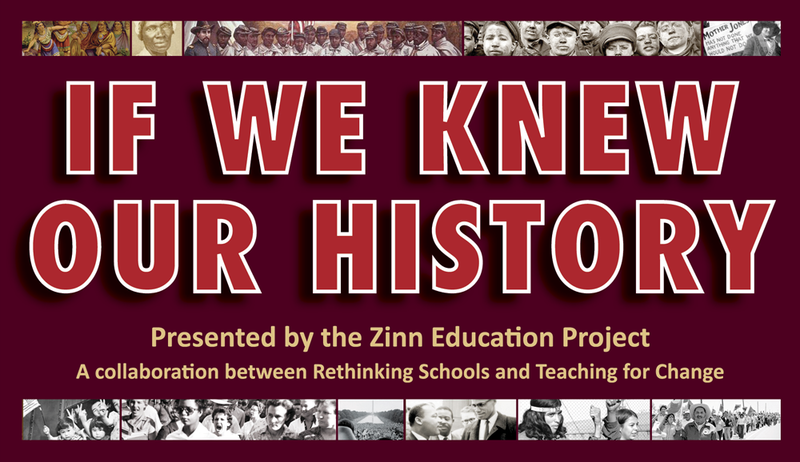 Educators can introduce race and class as key categories of inquiry -- an exploration that is essential if young people are to think clearly about everything from climate change to health care. Today, we need young people who can look at the world from multiple perspectives -- especially from the perspectives of those who may not be well served by our society's arrangements of wealth and power. On this Constitution Day, let's encourage schools to teach outside the textbook as part of a broader curriculum of critical thinking.